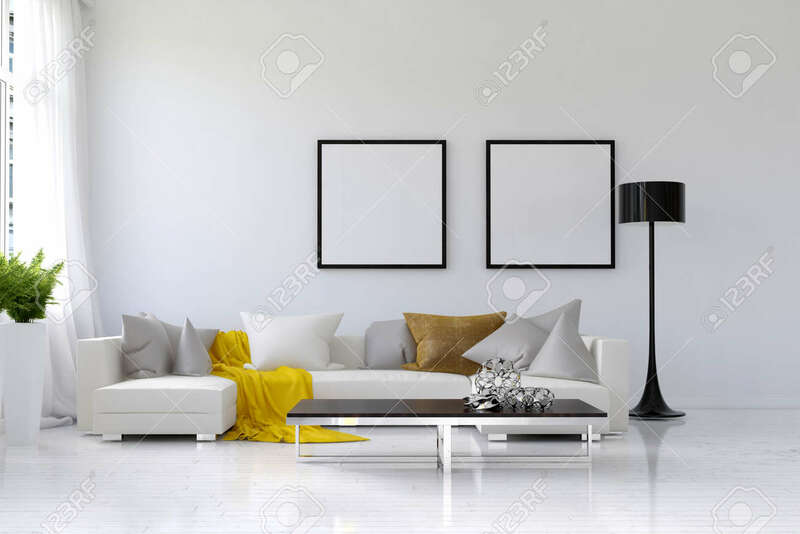 Lived In Spacious Living Room With White Walls, Large Sofa And.. Stock Photo, Picture And Royalty Free Image. Image 60643835. Stock Photo - Lived in spacious living room with white walls, large sofa and floor lamp. Includes houseplant holder, coffee table and blank picture frames on wall. 3d Rendering. Lived in spacious living room with white walls, large sofa and floor lamp. Includes houseplant holder, coffee table and blank picture frames on wall. 3d Rendering.